1. This is a legally binding agreement between You and Amateur Radio Digital Communications, Inc. (ARDC). Please read it carefully. Your request to license address(es) or your use of such indicates your understanding and agreement to abide by these Terms and Agreement. The Terms of this Agreement may be revised from time to time without notice at the sole discretion of ARDC. ARDC administers AMPRNet addresses and related matters, including but not limited to licensing addresses to hams who request one or more addresses for a station or network of stations that they are interested in setting up. ARDC uses its best efforts to license addresses in accordance with these Terms, however, the licensing of addresses is provided on an “as is” basis and ARDC does not make any guarantee or warranty about fitness for a particular purpose. ARDC DOES NOT provide network services. Specifically, we do NOT provide network connectivity, email, file storage, and other such services as might be obtained from a Network Service Provider (NSP) or Internet Service Provider (ISP) such as a Cable TV or DSL company. You, the Licensee, are entirely responsible for obtaining connectivity to the AMPRNet. Your license permits You to use certain addresses exclusively for the purpose of Amateur Radio communications and experimentation, or other special uses as may be agreed to by ARDC. You may cancel this license at any time and for any reason by contacting ARDC in writing and receiving acknowledgement of such request. Usage of the address(es) must cease effective with the license cancellation. You may NOT sell, exchange, transfer, or otherwise obtain anything of value for the address(es). You are not permitted to use the address(es) for commercial purposes, nor in a manner which would be to the detriment of the AMPRNet or to Amateur Radio. All address(es) licensed to You remain the sole and exclusive property of ARDC. You do not obtain any rights, title, or interest in the address(es) nor in the AMPRNet. You may not assign any monetary value to the addresses. Licenses may be rescinded or suspended by ARDC at any time and for any reason. You are entirely responsible for obtaining connectivity and other network services as may be necessary. ARDC cannot be held responsible for interruptions in service or failures of any network infrastructure, nor for the content of communications received or sent. You acknowledge the experimental nature of the AMPRNet and of ham radio in general. As a consequence, You agree that ARDC owes You no duty to ensure the dependability of the AMPRNet for life, safety, or other important communications. You agree to indemnify, defend, and hold harmless the ARDC officers, directors, employees, and volunteers; that if any part of this agreement is deemed invalid, all remaining parts remain in force, and that all legal matters shall be adjudicated according to the laws of California. You further agree to follow the administrative and technical procedures set forth in this and other ARDC documents, which may change from time to time. You further agree to keep up to date the information on file regarding contact and utilization of address(es). You consent to the monitoring of network traffic for administrative, security, statistical, or scientific purposes. 7a. Those requesting a substantial block of address(es) (a “subnet”) shall provide justification for the number of address(es) they are requesting, and some evidence that they have sufficient technical knowledge to make good use of the address space requested. 7b5. agreement that ARDC retains ownership of the subnet address(es) and may require the NSP to cease BGP advertisement for them for any reason. In turn, when licensed, we will supply an email or letter authorising the NSP to begin the BGP announcement. 7c. Directly routed subnets shall make provision to in turn supply connectivity to other hams in their area (by e.g., “tunnels” or other means). “Amateur”, “ham”, “operator”, means a person or group licensed under the terms of the Amateur Radio Service as defined by the International Telecommunication Union (ITU) as implemented by their country’s government, e.g., in the USA, under 47CFR97. “AMPRNet” means the network 44/8; that is, all Internet IP addresses from 44.0.0.0 through 44.255.255.255. 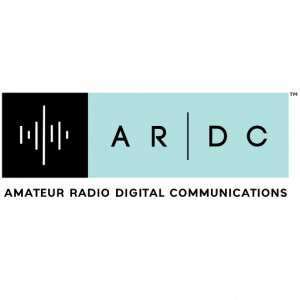 “ARDC”, “we”, “us” means Amateur Radio Digital Communications Inc., a non-profit California corporation. “BGP” is the Border Gateway Protocol, a method of advising the Internet as a whole of the connectivity of a subnet. “CIDR” means Classless Internet Domain Routing, a method of attaching network subnets to the Internet. “station” means the equipment used to communicate via and/or experiment with ham radio. “subnet” is a portion of a network, usually defined by a single network address or range of address(es) which are wholly contained within the range of addresses making up the network as a whole. Networks and subnets are usually referred to by a base address (i.e, the least address in the range) and a number of highest-order bits which is invariant over that range, e.g. 44.0.0.0/8 would encompass that address through 44.255.255.255 as written in Internet standard notation.